There are thousands of reason to want to redo and makeover your garage. Whether or not you have company coming, just want a different view, or are looking to redo your entire home, there are plenty of things you can use to makeover your garage. What is a steel home kit? It is essentially a kit of steel pieces that, when correctly assembled, creates a steel structure that looks like a home or garage. Depending on where you go for your steel home kit, there are a variety of different things that can be included or added to your kit. For example, Sheds ‘n’ Homes offers a line of garage and workshop steel kits. The Barossa garage option, for example, is designed for tools, cars, boats, and motorcycles. It comes in two sizes: 9 meters by 8 meters by 3.1 meters and 9 meters by 16 meters by 3.1 meters. Each garage is given a wind rating and an importance factor. These could be vital to making your final decision, so they are not to be taken lightly. 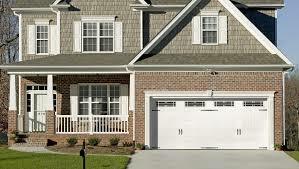 There are multiple wind ratings, importance factors, and color options for each garage option. The best thing to do for your garage – which will add personality in the process – is to clean it. Bobvila suggests you be brutal when sorting out what is in your garage. In fact, they even suggest getting rid of anything you haven’t used in a year. Furthermore, when you clean out your garage, don’t simply throw everything away. The phrase “one man’s trash is another man’s treasure” is particularly true here. Hold a garage sell or sell it online if it’s still in good condition. If you don’t feel like you could sell it, find out if there’s a charity nearby that will take it. Should you not have the time, calling 1-800-GOT-JUNK could help. As long as you ask the hauler for a tax receipt if the items go to charity, you could go a long way with it. While this may seem obvious, it cannot be done until you have cleaned out the garage. Paint can offer you a fresh start in the garage, and adds personality to the room. If you live with your family, you should ask for opinions from everyone who has things in the garage. If multiple colors are wanted, there are multiple walls! Allowing others to help you paint is another way to infuse the family’s personality into the garage. Everyone has their own painting style, and it’s a fun thing to do as a family. It’s something your kids may talk about for years to come – even when the paint begins to chip. Storage areas and storage methods are another way to not only makeover your garage, but also to offer a piece of your personality. If you have a ladder or are taller, you can use more space closer to the ceiling – even the ceiling itself if you must. This offers you the ability to play around with where you’re going to store things. For instance, if you only use the camping gear every now and then, it would be worth hanging what you can higher up. If you use the bikes and basketballs more often, keeping them closer to the doors or lower where the kids can reach them are good ideas – especially if the kids will need the balls more often than you. In all, whatever you do in your garage, you will automatically add personality to the area.